Update Friday, Sep 26: Although the new shop is opening in October, the old shop closes today, at 5:30pm. 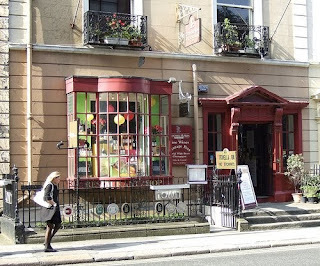 I had a final look around and took some pics which I've added below. 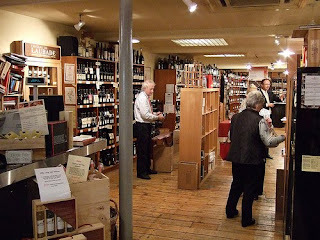 I was given a tour of the building earlier in the year and saw some really old bottles of wine in the cellar covered in decades of dust, impossible to identify. 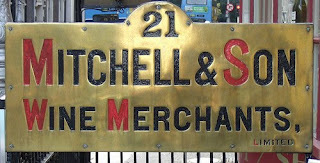 These were left over from the days when Mitchells stored wine collections on behalf of their customers. 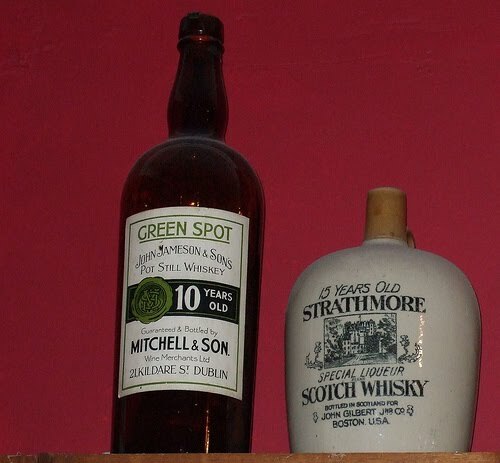 A couple of customers never claimed their bottles. Well, I asked if they found anything interesting under the dust and it sounds like they had some fun sampling various 50-year old wines and champagnes! 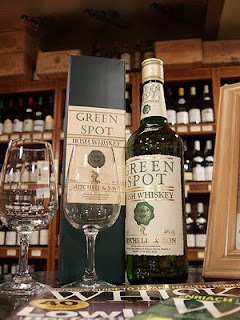 The home of Green Spot whiskey, Mitchell & Son on Kildare Street, is moving to the CHQ retail building in Docklands. 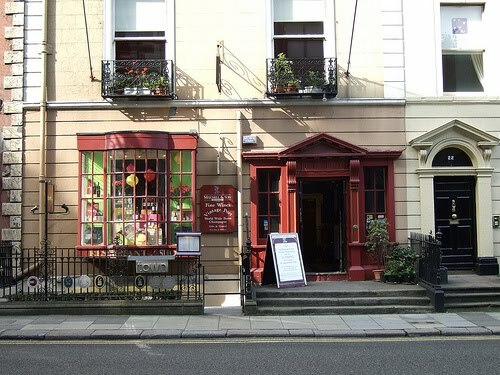 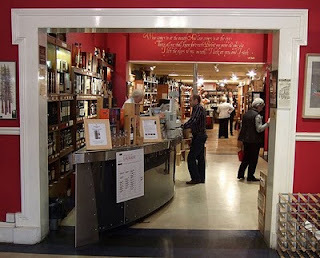 The shop has been living on borrowed time since the end of 2005 when it was sold to the owners of the Shelbourne Hotel. 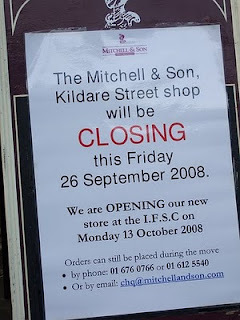 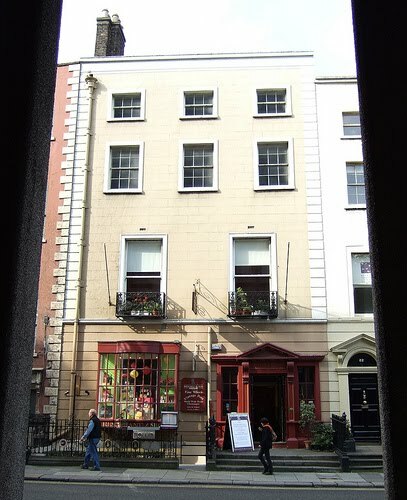 Mitchells have traded at 21 Kildare Street since 1886, though the company was founded even earlier, in 1805 (on Grafton Street, where McDonalds is now). It is sad to lose one more link with Dublin's past but the CHQ building will make an appropriate home for Ireland's oldest wine importer. It was originally built as a bonded wine and tobacco warehouse in 1820. 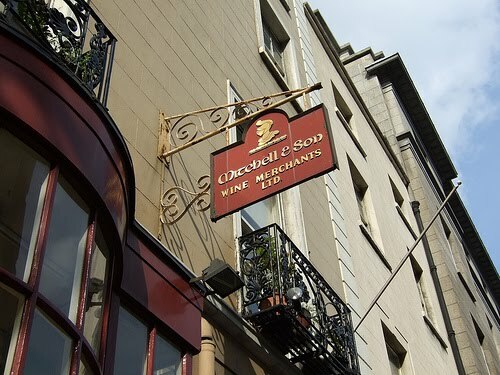 It also hosted the Crimean War Banquet in 1856 to celebrate the return of 3,000 Irish soldiers. 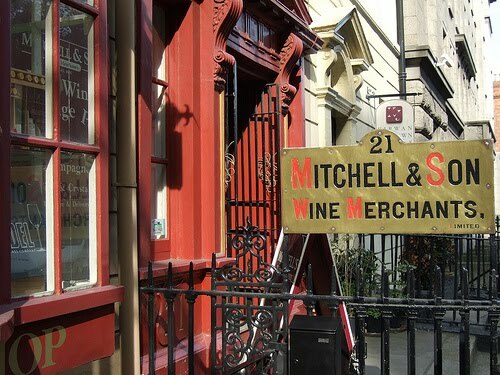 The new shop will open on Monday, October 13th. 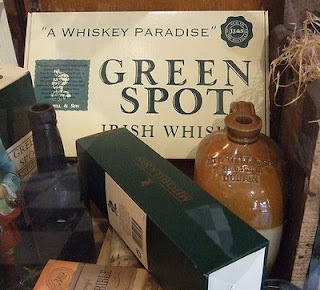 So you only have a couple of weeks left to visit Kildare Street to pick up a bottle of Green Spot just as your grandparents did.